Condor Yari Spear With Traditional Japanese Blade And American Ash Handle | BUDK.com - Knives & Swords At The Lowest Prices! 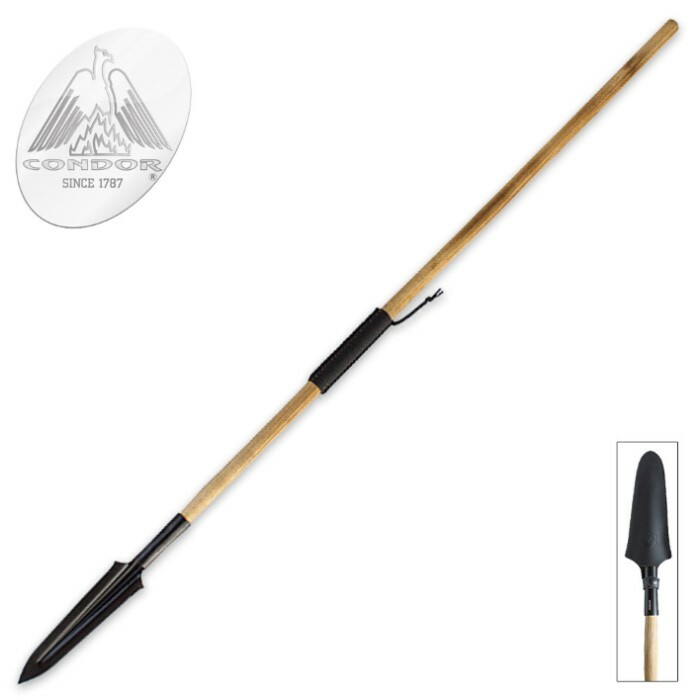 The Condor Yari spear is based on traditionally made Japanese blades that were used for spears. It is a sleek and sharp addition to our diverse inventory. It features a 14 1/2” 1075 high carbon steel spear head blade with an epoxy black power coating. The burnt American ash handle is wrapped in paracord to give you a secure grip. A handcrafted welted sheath is included to house the blade. It is a massive 64 1/2” in overall length.